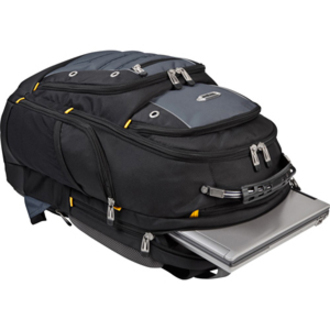 The Targus Drifter II Laptop Backpack is designed to fit laptops with up to 16" screens. 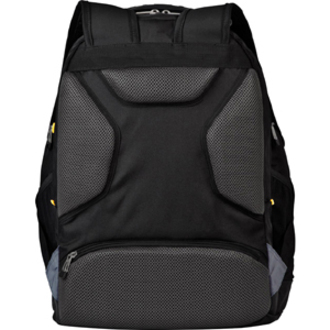 This backpack features two large compartments for storage including a padded laptop compartment that keeps the device secure and separate from other items carried in the case. 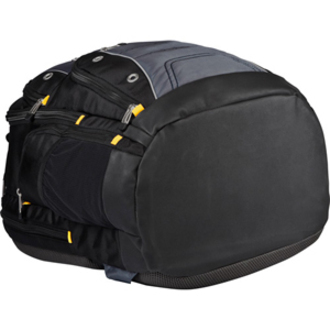 The extremely thick padding on the back panel includes a large hidden zippered compartment and is strategically placed to provide lumbar support for your back. 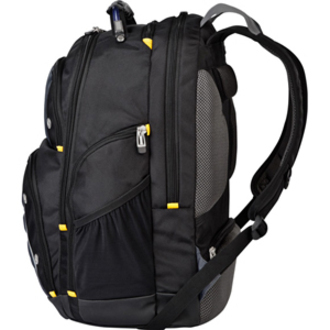 The heavily padded shoulder straps provide comfort for travel and include a removable mobile phone pocket large enough to hold an iPhone or BlackBerry as well as an elastic loop specifically designed to hold sunglasses on the shoulder strap. 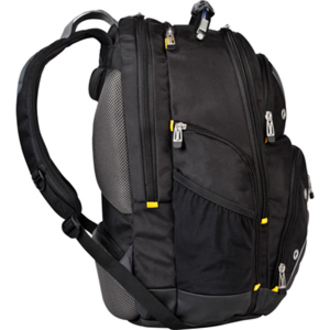 The main front compartment includes pockets for business cards, a mesh accessory pocket and key clip. 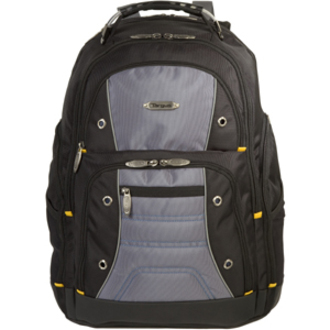 A convenient soft, lined pocket is scratch-resistant to store fragile accessories such as glasses, and more. To keep files in order, the interior divider provides a safe place to store documents.